Fumo Pipe Passivated Stainless Steel screens are sized perfectly to fit your genuine Fumo Pipe. These are an ultra clean and corrosion resistant stainless steel. 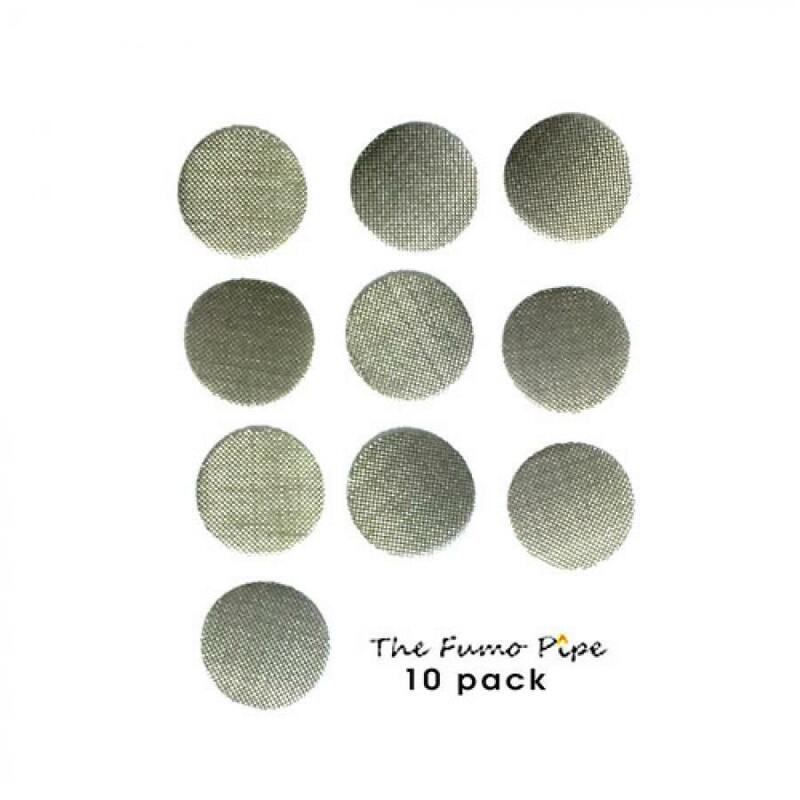 This larger 10 pack for those who use their Fumos a lot and really like a fresh screen more often than not. The screens can be cleaned and reused as well. I have recommended Fumo pipes to all the smokers I know and I ALWAYS tell them to order the 10 packs of screens because they are sized correctly and a heavy enough gauge they don't tear or bend easily. These are a great value! My purchase does the job and the fast delivery made my day. Have a great day .Be back next month. Best screens ever! Fit perfectly. I would like to say something about 1percent that's not directly related to the product. In this case it's the 10 screens for my Fumo Pipe. As happens in life especially Mail Order, sometimes orders get mixed up. As mine did last week. So they accidently shipped my order to someone in Queens. I live in Arizona. When the mistake was realized, 1percent re-shipped my order of screens to me BUT added a bunch of goodies that I did not order. As their way of saying "Sorry." So I got my screens and some other stuff as well. This is why I continue to use 1percent. They really do stand by their orders and in the case of a mistake, they make things right with their customers. Good quality and they fit perfectly. Fumo pipes are outstanding...My old screen was shot, now I'm back in business !! !